So, my play is finally over. We had our last performance June 2. I actually got to be onstage! One of our actresses was moving out-of-state, so I understudied her. I miss being on stage. Which is why yesterday I auditioned for another play. Results to come. But it gave me an excuse to dress up in a corset and bustle on a Saturday morning, so either way, I win! I’m a bit behind on my reading. I’m currently working on books 43 & 44. I should be at about 50 by now, but I think I can still manage. I don’t have a clever theme for this grouping. I was thinking about clustering earlier today. I tend to read several things along a theme before I switch off. This happened to be one of those stretches where everything was just a little different. The Perfect Poison and Heart of Brass have some similarities, but one is arcane and the other is steampunk. Related, but not the same, if you see what I mean. Lucinda Bromley is a gentlewoman with a cloud hanging over her head. Her father is said to have committed suicide. Her fiance was poisoned, supposedly by Lucinda herself. Although the courts never convicted her, public opinion has. But, on the whole, Lucinda is content. She raises exotic plants, has a position in the Arcane Society, and uses her gifts to assist the police on poison cases. It is not an expansive life, but it is, on the whole, a happy one. 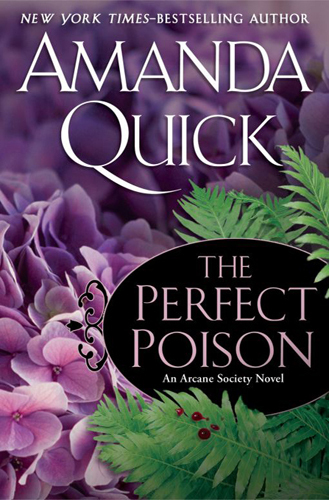 That all changes when she is called out to a crime scene and discovers that not only was the dead lord murdered, but the poison was extracted from a rare fern that had been in Lucinda’s possession until a very few months ago. Lucinda is determined to track down the thief and preemptively prove her innocence. In order to do that she hires Caleb Jones, a private investigator who is also a member of the Arcane Society. Their investigation places Lucinda in significantly more danger from the killer than she ever was from the police. Naturally, this being a romance novel, Lucinda and Caleb are drawn together. I listened to this one on audio and the narrator did a good job. It’s not stunningly original, but I enjoyed it fairly well. We spend a little too much time on Caleb’s angst ridden thoughts about why he can never make a life with Lucinda, but it’s not Twilight level self-torture so I”ll put up with it. It’s a great airport book if you like some thriller/mystery elements with your romance, and while I’m not running out to pick up more books in the Arcane Society series I’ll probably pack some on my next trip. 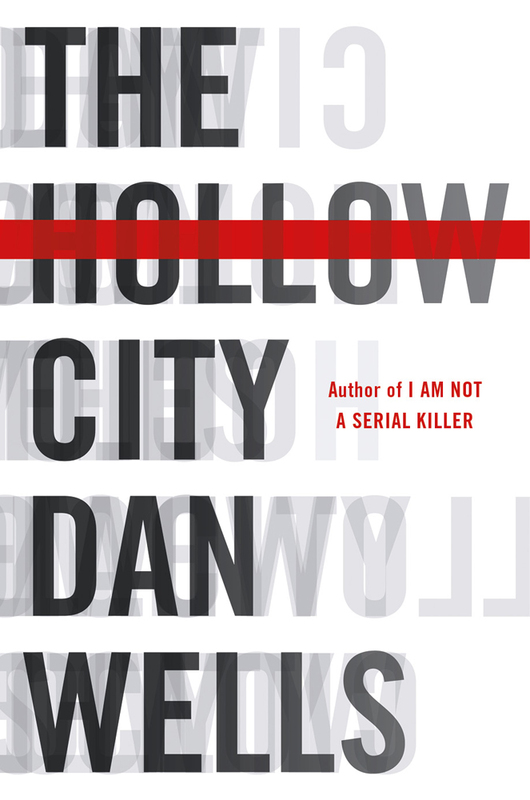 First of all, did I mention, DAN WELLS IS COMING TO MY BOOKSTORE JULY 6!!!!!!!!!!!!!!!!!!!!!!!!!!!!!!!!!!!!!!!!!!!!!!!!!!!!!! Look – it’s on his website and everything!!!! Sorry, had to get that out. The book actually comes out July 3. I’m also talking to my Tor rep (The Hollow City) and my HarperTeen rep (Partials ) to see if there’s any way to get some copies to give away. 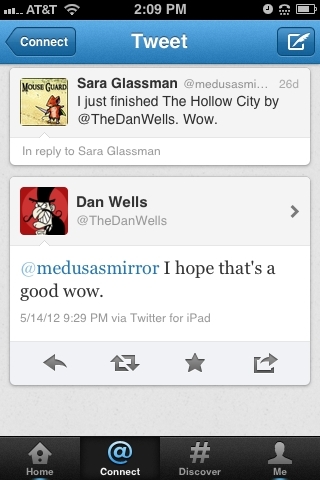 I probably won’t haveThe Hollow City early, but I will try to get some signed copies of Dan’s books to give you guys. And I’m probably going to take some medication before the signing so that I don’t freak right out. Again. Ok,The Hollow City. First off, it’s brilliant! I mean, just really, really good. The first thing you have to understand, is that Michael Shipman, our protagonist, is not to be trusted. I mean, he’s a nice enough guy, but he’s a paranoid schizophrenic. He has delusions. He sees things that aren’t there and imagines that dark, shadowy people are out to get him. They communicate thought any device that sends an electronic signal; cell phones, computers, tvs, clock radios. The faceless men are the worst. They literally have a blank where their face should be. They’re out to get him and do something horrible to him. Granted, Michael has a right to be paranoid. His pregnant mother was kidnapped and murdered by a cult. People were out to get him before he was even born. His father resents that Michael lived while his mother died. He’s had a hard life for a young man. But, it’s all just in his head. Right? The problem is that there are murders happening in the city. Horrible murders. Murders where the killer disfigures the victim’s face. The FBI think that Michael might know something, have seen something during one of his episodes. Or maybe, Michael saw everything because he is the killer? Michael himself can’t remember what happened the last time he blacked out. But there are only two possibilities; either he is a serial killer, or, some of the things he sees are real and they’re coming for him next. I read this book incredibly fast. When I finished it, all I could say was, “Wow”. On twitter. Where I apparently made the author a little nervous. I highly recommend this book! Michael is an amazing character. He is beautifully human in the midst of the horrible things happening around and to him. The story is tense and well thought out. I don’t want to keep talking about it because I don’t want to give anything away. Just buy it. Please. Interestingly enough, this book opened almost the same way that The Perfect Poison did, which since I was reading this while listening to that caused a little confusion. They very quickly distinguished themselves however. 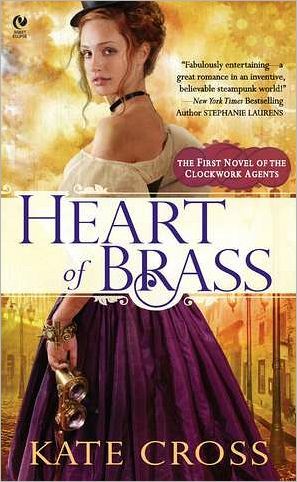 Heart of Brass is, unsurprisingly, a steampunk romance novel. I’d say it has about as much of a mix of romance and mystery/thriller as The Perfect Poison does. It is also the first in a planned series. Almost seven years ago Luke Grey, Lord Huntley, left his young wife, Arden, to go on a mission for the Wardens; a secret organization that protects the Empire. He never came home. Only Arden believes that he is still alive. Finally, with only days to go before Luke’s brother has him declared legally dead Arden sees him in London. The only problem is that he’s trying to kill her. Meanwhile, someone is murdering eligible young debutantes. Arden has been called in by the police to assist them. She has invented a device that allows her to see through the eyes of the victims and observe their last moments. Unfortunately, none of the victims took a good look at her killer’s face. The killer has enhanced strength and Arden is horribly afraid that her husband may be responsible. The adventure element of this book is very fun. There are dangerous secret agents, narrow escapes, even air ships. The romantic side of things was a little less satisfying to me. Arden has been alone for seven years. Her husband’s best friend is in love with her, but she has never been tempted. However, when said husband does show back up… I don’t know. It’s not that it’s not passionate. I just felt kind of ‘meh’ about their romantic relationship. probably because I root for the underdog and liked the friend. Also, the murder mystery seemed a bit tacked on. I actually liked that part of the story, but it was kind of superfluous to the thrilling daring-do going on with the Wardens and the Company. I’m curious to see if the next book will be more agents of the Wardens or more of Arden and Luke. I kind of hope for more of them solving mysteries together, but I suspect that I’m going to get more new couples instead. ← I’m Late, but there are Vampires!